Next up: Avocado Dip, which is not guacamole, but could play it on tv. We had a friend over for dinner recently, and therefore our first outside-taste-tester in the Small Kitchen Cookbook cook-down. This is also one of the first times in the book that the reader/home cook is presented with what seems to my late-Gen-X eyes to be a strange either/or combination. As we wrap this recipe, the instructions ask us to finish things off with the (ever-popular) parsley, or instead paprika. Not for nothing, as my mid-western friends say, but those are some radically different flavors. That said, there are much more drastic choices to come in this book, so maybe reserve your judgement for then. We start with halved avocados, and Mortellito counsels us that we can hold on to the pits if we are interested in growing new avocado trees. 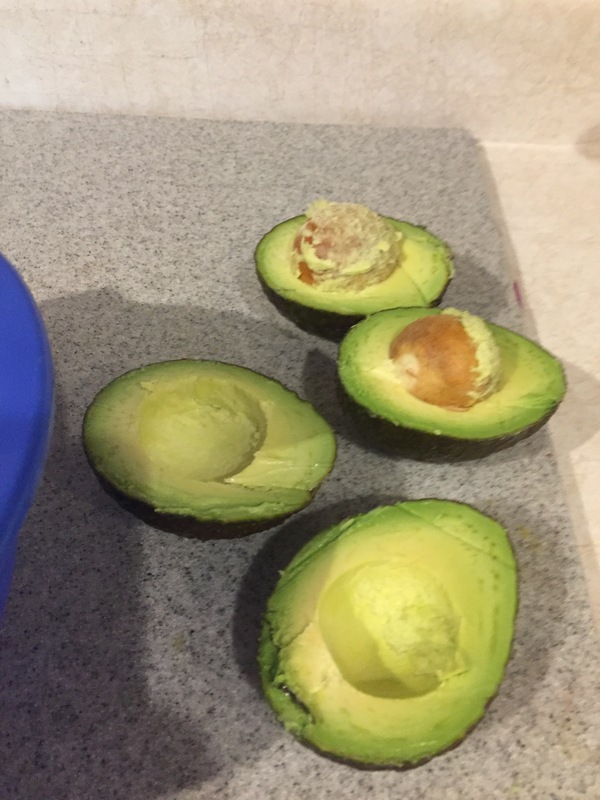 Points for early ecology — however, I live in the Northeast and don’t think I’m in an avocado-friendly environment. So we move on to mashing and adding ingredients. White pepper, another popular ingredient in this book, makes an appearance along with mayo, lemon, and onion salt. The consistency at first is a bit gritty, but I made the dip the night before serving — at which time it was much smoother. We went with parsley as garnish, because we still have a field’s worth in our home herb garden. Plus, paprika reminds me of Deviled Eggs, and I hate those. 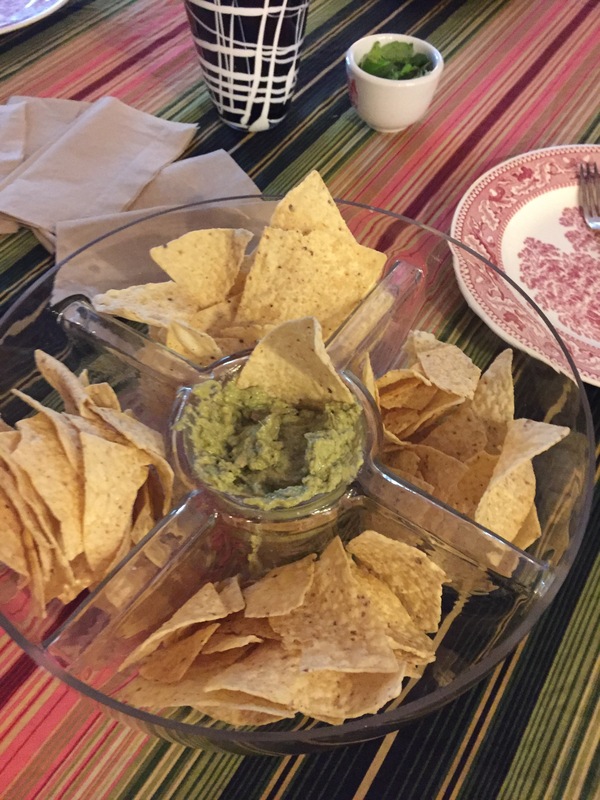 We figured tortilla chips counted as ‘corn or potato chips,’ so as directed, we “arranged” them in a chip and dip bowl from Homegoods. 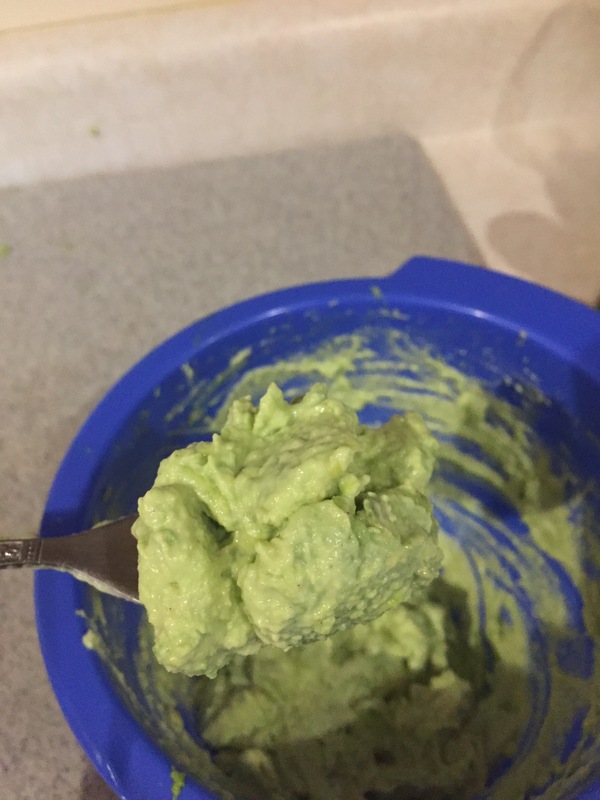 I’ll probably make this again; it was gone at the end of the night and it didn’t brown overnight, like guac often does. 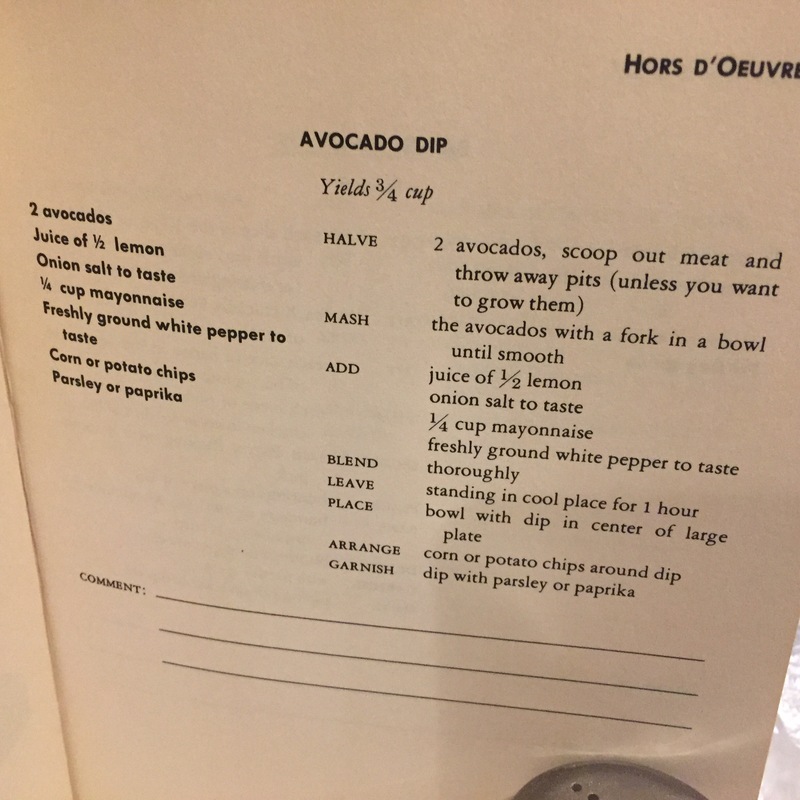 It was a little bit weird at first in the taste department though, because the tongue is expecting guacamole and, as we addressed, this isn’t that. But like green tea ice cream, it has an acquired taste. I give this recipe three and a half bunches of jaunty cherries. Let me know if you make it with paprika, and if it was worth it.